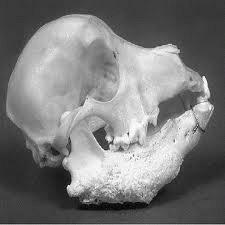 Craniomandibular osteopathy (CMO) is a bone disease of growing dogs. It affects the bones of the skull, including the mandible (lower jaw), tympanic bullae (bone surrounding the middle ear) and temporal region (bone of the skull, which forms a joint with the lower jaw called the temporomandibular joint). The lesions are bilateral, and consist of irregular enlargements of the affected bones.What causes craniomandibular osteopathy and which breeds does it affect?The cause of CMO is unknown. It is not cancerous or caused by inflammation. It is an inherited condition in West Highland white terriers, and also occurs more commonly in other terrier breeds including the Scottish, Cairn, and Boston. It has also been reported in the Boxer, Labrador Retriever, Great Dane, and Doberman Pinscher.What are the signs of craniomandibular osteopathy? West Highland white terrier (Westie)The signs of disease usually occur between 4 and 8 months of age. There is swelling of the jaws, difficulty eating, and pain on opening the mouth; sometimes there is actually an inability to open the mouth. Dogs may drool and be depressed. Often the body temperature will fluctuate over time, with fever occurring in phases every 10-14 days. In severely affected dogs, the masticatory muscles (those involved in chewing) may atrophy and there may be lymphadenopathy (swollen glands). Radiographs (x-rays) of affected dogs demonstrate irregular thickenings of the various facial bones. It may be necessary to sedate or lightly anesthetize the dog to obtain good radiographs, since it is a painful condition and the dog may not lie quietly. How is craniomandibular osteopathy diagnosed? A veterinarian can generally make the diagnosis through obtaining a good medical history, physical examination, and radiographs. In dog breeds that are rarely affected, biopsies may be necessary to distinguish it from other diseases causing similar lesions such as neoplasia,osteomyelitis, and hypertrophic osteodystrophy. What is the treatment of craniomandibular osteopathy? Currently, there is no treatment that will alter the progression of the disease. Therapy is usually targeted at making the dog more comfortable through the use of pain relievers and anti-inflammatory drugs such as prednisone. Proper nutrition must be provided, and in severe cases, it may be necessary to place a gastrostomy (stomach) tube. What is the prognosis for dogs with craniomandibular osteopathy? The abnormal bone growth slows as the dog ages and usually stops by one year of age. At that point, the lesions often regress, though some dogs may have permanent difficulties with eating and using the mouth. If the lesions affect the temporomandibular joint, permanent inability to move the jaw may result. In some cases, surgery can partially correct this problem. How is craniomandibular osteopathy prevented? Since it is an inherited condition in West Highland white terriers, those dogs with the disease, or with parents or siblings with the disease, should not be bred. Since it may be inherited in other terrier breeds as well, breeders should avoid breeding affected dogs. Johnson, KA; Watson, ADJ. Skeletal diseases. In Ettinger, S. (ed). Textbook of Veterinary Internal Medicine. W.B. Saunders Co. Philadelphia, PA; 2000.Riser, WH; Newton, CD. Craniomandibular osteopathy. http://cal.nbc.upenn.edu/saortho/chapter_54/54mast.htmRoush, JK. Diseases affecting developing bone. In Birchard, SJ; Sherding, RG (eds.) Saunders Manual of Small Animal Practice. W.B. Saunders Co. Philadelphia, PA; 1994.